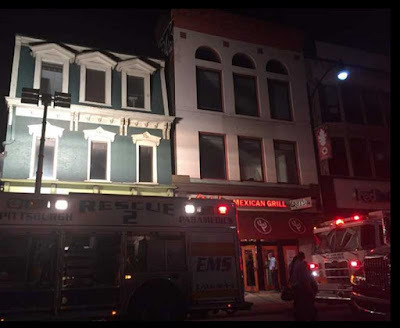 Emergency crews rescued a man who was stuck between two buildings in the Oakland neighbourhood of Pittsburgh, Pennsylvania, for about four hours early on Tuesday morning. 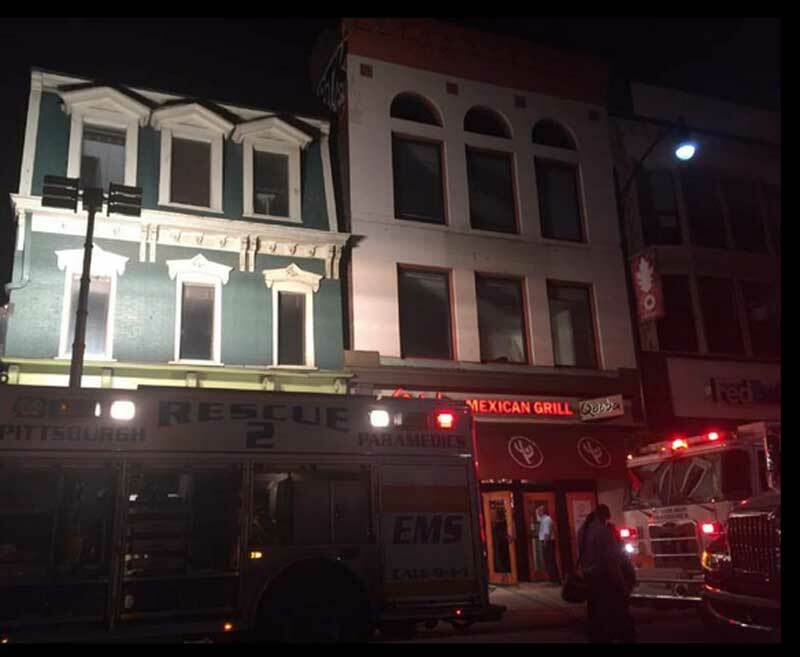 The man fell at about 2am when he tried jumping from the roof of the Bruegger's Bagels up to the roof of the Qdoba Mexican Grill. A police spokeswoman said the man was with his girlfriend at the time of the accident and was trying to impress her. 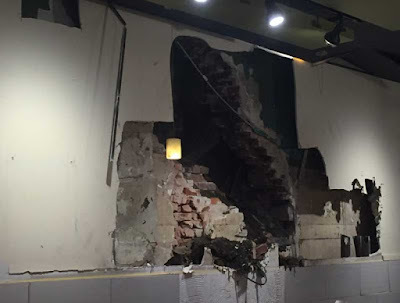 The man, who is a student at the University of Pittsburgh, fell three storeys into the space between the buildings, which is between 16 inches and 18 inches. Emergency crews cut through walls from inside the Qdoba to reach the man. At one point during the rescue, a rope was used to lower a paramedic between the buildings to check on the man, who was going numb. 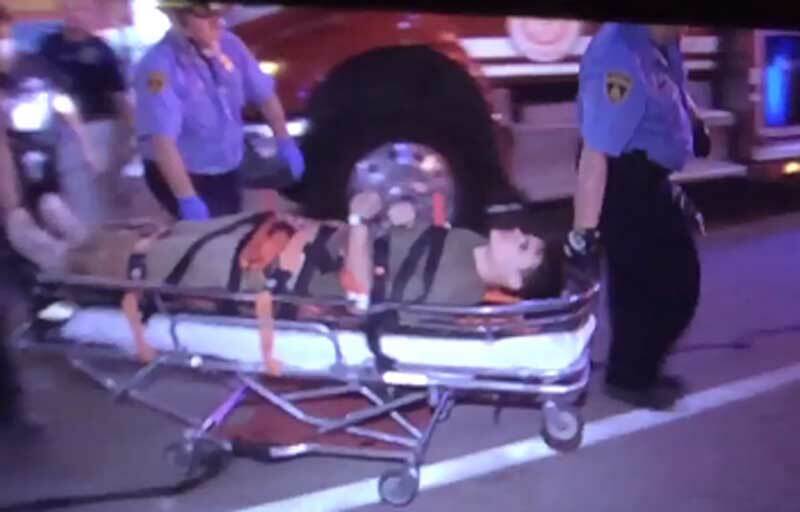 The man was wheeled out on a gurney at about 6am and was alert, even waving to TV news cameras. He was taken to UPMC Presbyterian Hospital with a possible broken leg. 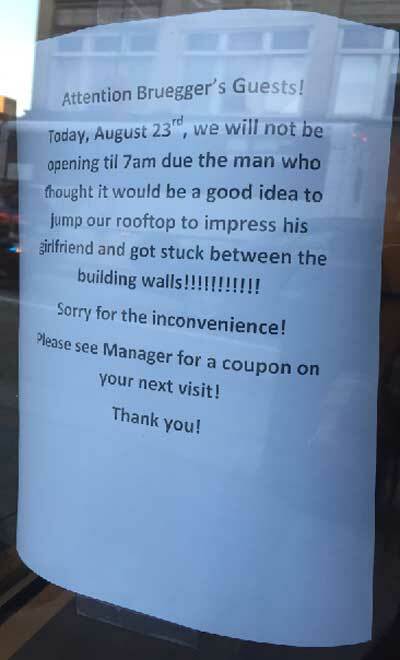 Bruegger's Bagels opened later than usual because of the incident, prompting the restaurant to put the following message to guests in its window: “Today, August 23rd, we will not be opening til 7am due the man who thought it would be a good idea to jump our rooftop to impress his girlfriend and got stuck between the building walls!” Authorities say the man and woman has reached the roof by climbing a fire escape. I had to re-read the article to be sure this didn't happen in Pittsburgh, Florida.